The Fantastic Beasts and Where To Find Them cast and character descriptions are out, and if you're not geeking out already, then you must be a No-Maj (the American word for Muggle, duh). Though star Eddie Redmayne, who will play magizoologist Newt Scamander, is pretty well-known at this point — especially after winning a Best Actor in a Lead Role Oscar for his role in The Theory of Everything — some of the film's other cast members might not be very familiar. 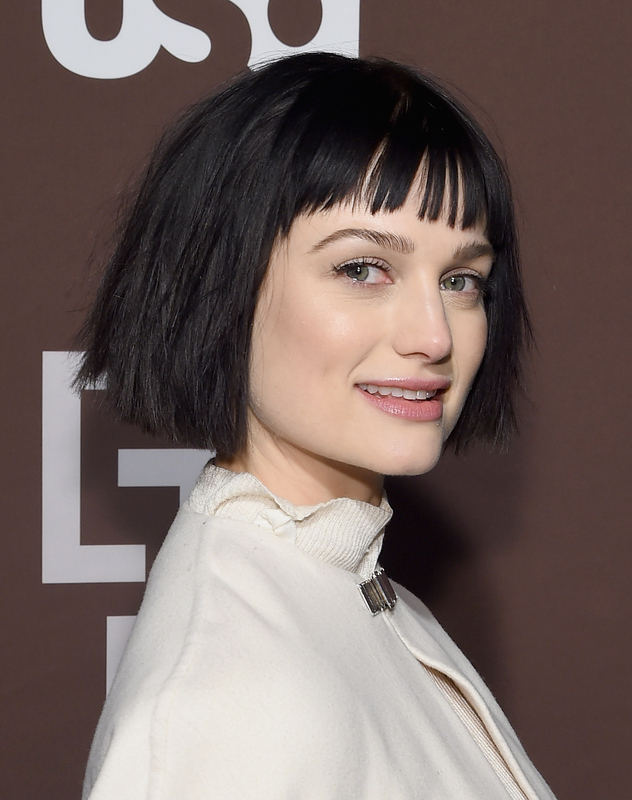 For instance, Fantastic Beasts star Alison Sudol, the American actress and musician who's playing Queenie. Sudol has magical talent all her own as a musician and actress. Back when she was cast in the role of Queenie in July, Bustle's Alice Walker noted that Sudol is more well-known for her musical prowess. The 30-year-old is also known by her musical moniker A Fine Frenzy, a passion project she started in 2007. Sudol is multi-talented, and even though she's already accomplished so much by the age of 30, there's no doubt that her role in Fantastic Beasts is going to magically transform her career. Here's what you need to know to get to know the singer/actress a little better. Sudol graduated from high school at the age of 16, and decided to take a break before going to college. During that self-imposed sabbatical was when she found her true love and commitment to music. But she also felt scared to attend college, telling The Hollywood Sentinel: "[I was] Nerdy! So the idea of going to college where people were like drinking, and partying, and smoking pot, it was too much. I was too scared. So I put it off, and then I never went, and a part of me has always felt, well, you've got to keep educating yourself, to justify not going to college, so, I just always try to read as much as I can." A Fine Frenzy is Sudol's stage name, and she's put out four full albums since 2007. Sudol made her debut with her alternative, romantic piano music at South By Southwest in Austin in 2007, where she opened for The Stooges. Her debut album, One Cell in the Sea, was widely praised. Paste called her "completely ingenuous." Don't discount Sudol's acting talent just because she's a musician, too. She was named one of the Newcomers to Watch in 2015 by Elle , and she played Kaya in the acclaimed Amazon series Transparent. Sudol also had a major role in the USA series Dig, playing a "an American archeology student stationed in Jerusalem who ends up embroiled in a global conspiracy after befriending an FBI agent," according to Elle. Clearly, she has the acting chops to enter the magical, wizarding world. No wonder Sudol posted an Instagram photo of the book Fantastic Beasts and Where To Find Them and said she was honored: She's a lifelong lover of literature and poetry. On her Tumblr and Twitter accounts you can always find an inspiring quote from the likes of poets, like Mary Oliver, and classic American authors, like F. Scott Fitzgerald. In fact, a lot of her influence comes from literature; her musical name is a reference to a quote from Shakespeare's magical comedy A Midsummer Night's Dream. And that's not all; Sudol is working on her own fantasy series. According to The Burbank Leader, "She also has a 400-page novel awaiting a sharp editor called Three Sails and the Family Moss, involving enchanted ships and talking animals. She has been writing since she was a child, and finds it more relaxing than music-making." As if she doesn't have enough on her plate, she also finds time to be a Goodwill Ambassador for the International Union for Conservation of Nature. Sudol has spoken about how nature has informed her music, and she's giving back by lending her talent to the organization to spread awareness and inspire people to get involved with conservation, especially young folks who are fans of her music. Alison Sudol could certainly be the breakout star from Fantastic Beasts and Where To Find Them, and it's gonna make the wait until November 2016 even tougher.